EPP-EU - Edition 41 Thank you for interesting and interactive seminar. Your lessons were very useful to me. EPP-EU - Edition 38 The seminar was very useful for me, absolutely connected with our work. Many thanks. EPP-EU - Edition 40 The best training I have attended in terms of timetable of the activities, structure of the training material, interactivness and friendliness of the teachers! EPP-EU - Edition 30 Very skilled teachers with great experience. EPP-EU - Edition 42 Great course, I will recommend it. EPP-EU - Edition 42 The course was very useful and interesting. Thank you for the hospitality! EPP-EU - Edition 30 Thank you very much for organising this course for us, it was very useful to get a taste of what European project means. Thank you so much for your patience and care. EPP-EU - Edition 25 Excellent Course! Very Informative! EPP-EU - Edition 37 The tutors made the training very friendly, besides being very professional! EPP-EU - Edition 02 I must say thank you for a carefully planned presentations. Thank you for a perfectly organized and distributed information. Thanks for having a great time! EPP-EU - Edition 37 I would like to keep in contact with Pixel for further training opportunities on EU. The tutors were exceptional and very approachable. Well done! EPP-EU - Edition 36 Thank you for the course and for all the useful information that I got. EPP-EU - Edition 29 I was very happy to learn at Pixel, I hope to come again. EPP-EU - Edition 33 Thanks for the valuable information provided during the course and for your sincere behaviour towards us. EPP-EU - Edition 02 It was my first experience with a course in another european country and for me it was a great experience. EPP-EU - Edition 38 Very well organized course. The trainers are very expert in the subject area and delivered the training very well. Thank You! 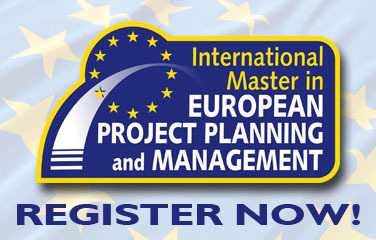 EPP-EU - Edition 13 I would recommend this course to all future project managers. EPP-EU - Edition 04 Great course, really useful! Well done everyone involved. EPP-EU - Edition 01 The course is very useful for my further work in EU project programmes. EPP-EU - Edition 02 I appreciate very much the amount of the material prepared for us and the way it is prepared. The information is very detailed and easy accessible. Everybody was very professional, programme was planned very well. Elisabetta you are a great teacher! Thank you Pixel! EPP-EU - Edition 01 It is very interesting to learn from "someone" so expert as Pixel: it is very useful! The idea of continuing the course at home is very important, so we can continue the collaboration and the communication started in classroom. EPP-EU - Edition 03 Thanks a lot for everyting. You have taken all details in consideration! EPP-EU - Edition 32 Thank you very much for everything! Thank you also for all the good materials that gave me a further good overlook about the content. EPP-EU - Edition 14 I just want to thank you for this excellent course!! EPP-EU - Edition 09 Very good atmosphere in the group and between Pixel personnel and participants. Excellent organisation and information! EPP-EU - Edition 04 The course's tools and methodologies were very useful to me, a lot of material was covered in a short period of time. The sessions were intensive and challenging. The course offers excellent opportunity to broaden personal and professional horizons through interaction with collegues from other European countries. It also facilitates opportunities for sharing of best practice between participants. EPP-EU - Edition 01 This course was a great opportunity for me, as it gave me and I'm sure all the other participants, a great insight and knowledge regarding project management. I will surely recommend it! Keep up the good work! 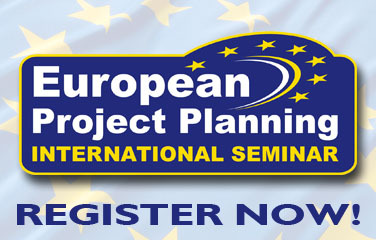 EPP-EU - Edition 02 A very useful course, very stimulating and challenging. Elisabetta has excellent trainer skills, she is full of energy and she even transfers not only knowledge but also energy and positive thinking. The entire Pixel staff is very friendly. The atmosphere is very relaxed. EPP-EU - Edition 11 The staff of Pixel was very friendly and supportive; which gives one confidence. Overall everything from the organisation to practicallity of the course was perfect and excellent. EPP-EU - Edition 14 The whole course was very good, and the hospitality of Pixel was excellent. Thank you!! EPP-EU - Edition 05 Very good course, good structure and good teacher: thank you! EPP-EU - Edition 04 I will recommend the course to others. You were really good !!! EPP-EU - Edition 22 Thank you, I feel ready to compile a project proposal. EPP-EU - Edition 41 Thank you so much for a very informative and useful seminar! You made us all feel very welcome and I will definitely go back to Barcelona with a lot of new ideas both for EU projects or some other projects. EPP-EU - Edition 29 Thank you for your hospitality and your help, I had a very good time here. EPP-EU - Edition 41 Thanks for the professional approach and for the skills and knowledge I acquired. EPP-EU - Edition 41 I got lots of useful information and knowledge. Thanks for organizing this seminar. It was perfect. EPP-EU - Edition 14 I find it important that all my questions were answered. I found the behaviour of Elisabetta and Andrea excellent! Florence is "the city" to organise such seminars. Well done!! EPP-EU - Edition 18 It was really good course: thank you! EPP-EU - Edition 07 This course is very clear and structured and really ensures the whole process is covered. Elisabetta has great knowledge and I would have liked to discuss more of her management experience. I have had a great time in Florence. Thank you!! EPP-EU - Edition 32 Good structure and methology. Personally I will describe the training course very inspirating, full of important informations, useful advices and relevant tips. I would like to congratulate the trainers for their professional skills. 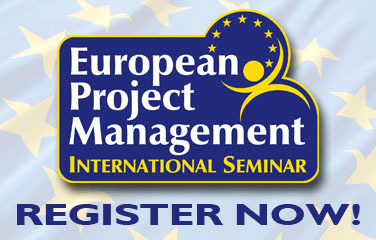 EPP-EU - Edition 27 Very useful for anyone who wants to work in the European Projects Field. Excellent balance between in-class activities and online course. Very recommendable. EPP-EU - Edition 32 It was a very good experience and I have learned a lot. 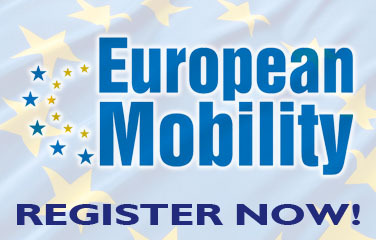 Thanks to this course my organization could get involved in European programmes. EPP-EU - Edition 07 Really very professional, well organised and structured course. Information before and during the course was excellent and ther was hardly need for further questions. The content of the course itself was presented very properly and professionally by Elisabetta: she really seems to be very experienced in the PM of EU projects and was willing to share her specific knowledge! She spoke a very good and clear english and also had a suitable way of explaining things. All persons involved from Pixel were very friendly and competent. Congratulations for the design and carrying out of the course. EPP-EU - Edition 02 Thanks for everything! I wish you success in your further work and everything the best for you all team! EPP-EU - Edition 06 Very professional approach to everything, the course, material, and "service". Nice and charming staff, good work! EPP-EU - Edition 04 Thank you: it was a very good experience to travel to Florence and attend this course. Special thanks to Anna who was so helpful and accomodating from first contact. I was pleasantly surprised at the degree of Pixel's commitment to participants, for example coming to meals at hotel, tour and dinner on Thursday, etc. Thank you!! EPP-EU - Edition 28 Excellent experience! Thank you. EPP-EU - Edition 11 Thoroughly enjoyed course. Good balance between course work and social/cultural activities. Made very welcome by Pixel, greatly appreciated. Thank you for everything! EPP-EU - Edition 42 I am very satisfied with the course!I will recommend the course. Thank you!